After playing high school footall in Montreal, Bark played one year of junior football with the NDG Maple Leafs before joining the Montreal Alouettes as a 19 year old in 1965. Bark was an outside linebacker for his first two seasons before being switched to center where he would go on to win four division All-Star awards. Bark won East All-Star honours twice with Montreal in 1968 and 1969. After the 1969 season, Bark was traded to Calgary for HOF receiver Terry Evanshen. In the year following his trade, in one of those human interest stories that tend to surround the Grey Cup, Bark played for Calgary in the 1970 Grey Cup against his former team. Unfortunately for Bark, the Stampeders lost to Montreal 23-10 in Toronto. Bark got back to the Grey Cup, however, in 1971 and had his turn as a Grey Cup champion as the Stamps beat Toronto 14-11 in Vancouver. 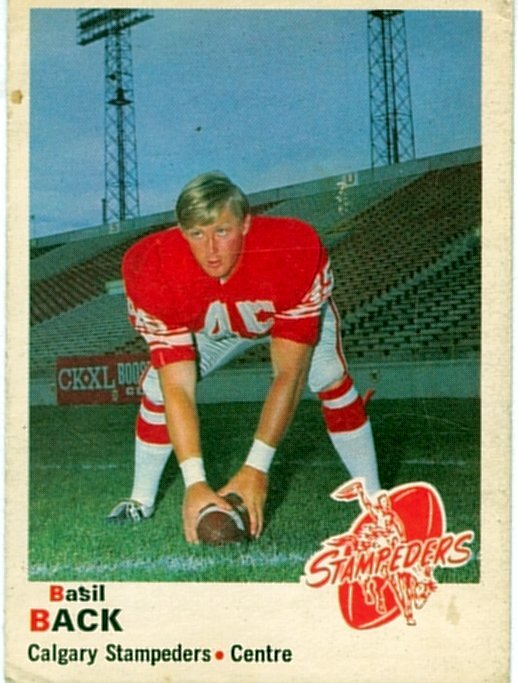 Bark won two West All-Stars for the Stampeders in 1971 and 1973. After football, Bark went on to business career in sporting goods with three of his former teammates, Tom, Joe and John Forzani. Bark also runs the Stampeder store at McMahon stadium.